Call HD Foundations For Foundation Repair. Our Company Stops Foundation Issues. Get Free Estimates. Need foundation repair in Fort Worth? We’re a company that halts foundation trouble and offer a great lifetime warranty. Contact HD Foundations for a free estimate. HD services the entire DFW metroplex. Count on us if you have foundation repair issues. Why HD For Fort Worth Foundation Repair? We lift concrete slab foundations and pier and beam houses correctly. 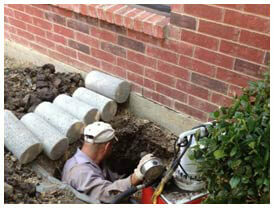 We’re a commercial and residential foundation repair company that has served Tarrant County for years. HD Foundations is a highly rated BBB (Better Business Bureau) affiliated company. 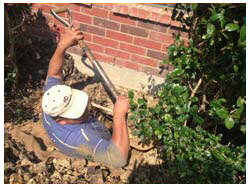 that offers free estimates on foundation repair in the Fort Worth area. Our company eliminates wet crawl space damage related to fungus, mold, and mildew. This often affects pier and beam houses. 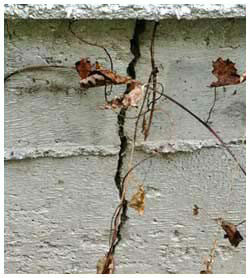 We stop foundation cracks that are associated with concrete slab foundations. HD’s lifetime foundation repair warranty is solid. It protects against structural foundation damage for years. Whether you require house leveling service, crawl space repair or foundation shims, you can rely on us. We install foundation piers, both interior and exterior pilings. They stop foundation movement. 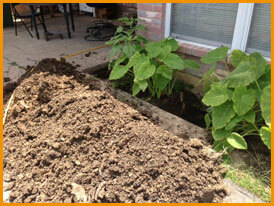 We place them beneath houses in areas where the soil is 8-30 feet deep. They’re effective in terminating fractures and inhibit sinking and foundation settling. At HD Foundations, we make repairs by installing pressed concrete foundation piers and steel foundation piers. We replace wooden beams and install block and base supports where need on pier and beam structures. Get Foundation Estimates And a Lifetime Warranty. If you have issues and think foundation underpinning may be the answer, find out about our great guarantee. HD Foundations services houses, townhouses, apartments and more. We perform thorough foundation evaluations. When you require a Fort Worth foundation repair company, we can help. If you’re a homeowner, contact us today for a free foundation estimate anywhere in the DFW metroplex.